You want to break into Wall Street or Investment Banking in general? Then you better get a great network and solid communication skills. But you also need to be quite well read in order to leave behind other aspiring bankers. There are, however, thousands of books written about Investment Banking and career related issues. Even some great Investment Banking books that cover life stories and history. So where to start? In order to help you decide which books to pick, I talked to some old-established bankers and came up with this definite list of the absolute best Investment Banking books you can get. This list is structured in three categories and posts. If you are a novice I urge you to get the three basic Investment Banking books that will virtually help anyone to quickly get started with the lingo and prepare for basic situations. For practical Investment Banking and books that cover how to get a career in Investment Banking the second list is what you need. As a free gift I will also add some life books which will by all means leave you in amazement. Now here is the first list for you. A great overview of Investment Banking for aspiring bankers. 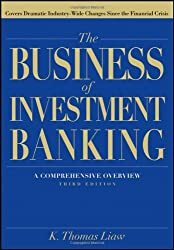 This Third Edition of The Business of Investment Banking explains the changes and discusses new opportunities for students and professionals seeking to advance their careers in this intensely competitive field. It also updates on shifts in practices and new trends and regulations, while it includes new chapters on Investment Banking in BRIC countries. If you have some experience skip this book, as you won’t get a lot of benefit out of it. However, based on the needs of college students this book is a definite buy recommendation. Get this book at Amazon.com or Amazon.eu. Who can put it better than the author himself what his book is about and who it is for? In his own words: “I wrote this book to demystify the workings of investment banks. If you are in touch with one side or another of an investment bank–whether you are a customer, supplier, professional, or competitor–I hope that this will enable you to negotiate your way more easily. 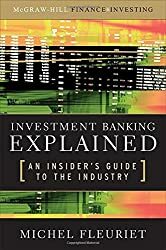 It has also been my goal to explain how investment banks really function for the many business school students who go into Investment Banking each year. They need to be experts in their area, but they also need to know what the other areas of the bank are doing if they want to be involved in solving the complex financial problems of their clients. This book should answer the many questions asked by senior executives who are selecting an investment bank.Finally, I hope that my experience in the business will prove useful for my colleagues in any of these institutions who are still wondering what the heck happens here and what course of action they should be taking in light of what investment banks have done in the past, and are doing now.” Absolute buy recommendation. Just get this one if you don’t want to look and act like a moron by not knowing the common terminology in the financial world. The author keeps the lingo very manageable and extremely user friendly. 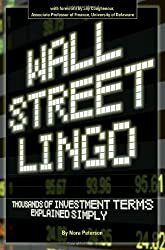 She defines over 1k Investment Banking terms and categorizes them into chapters for your convenience. Admittedly, at first glance this seems very intimidating to the untrained eye but her step-by-step approach demystifies each and every aspect of Investment Banking terminology. Also the appendix of her work is full of useful acronyms, definitions and investor resources. Great book! Next week I will tell you which five books will help you to really break into Wall Street. These will feature some books that will prepare you for practical Investment Banking and books that cover how to get a career in Investment Banking.